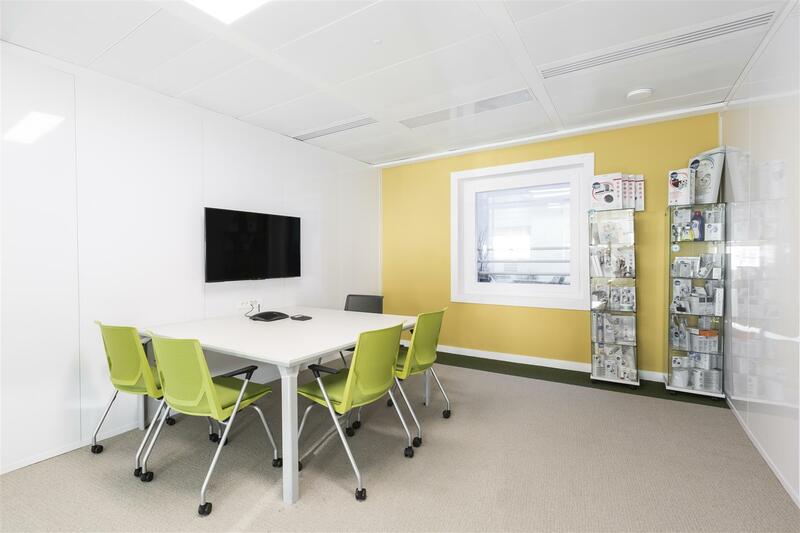 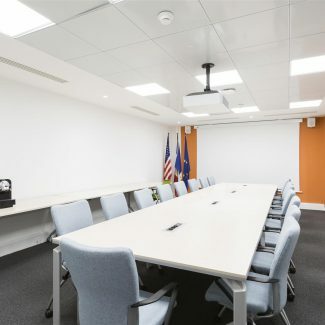 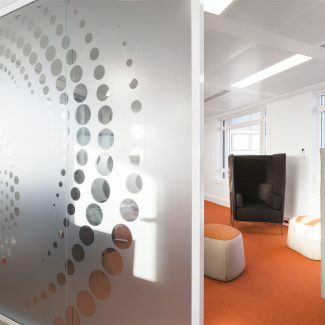 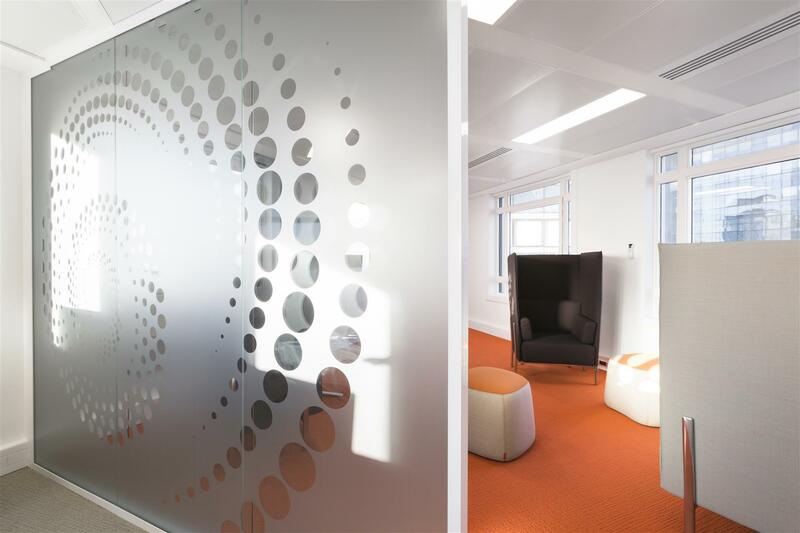 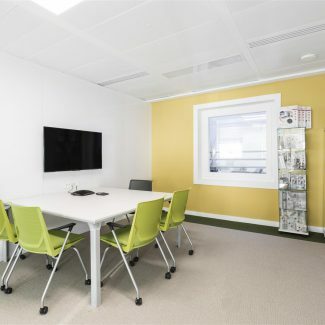 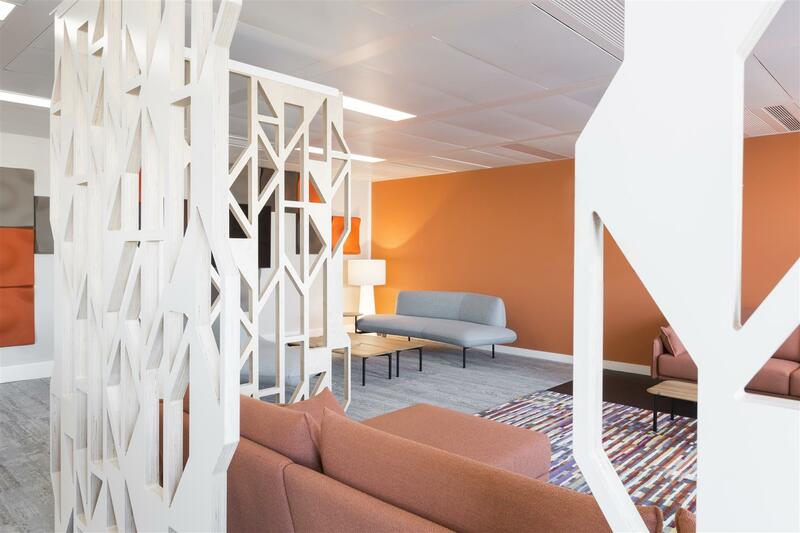 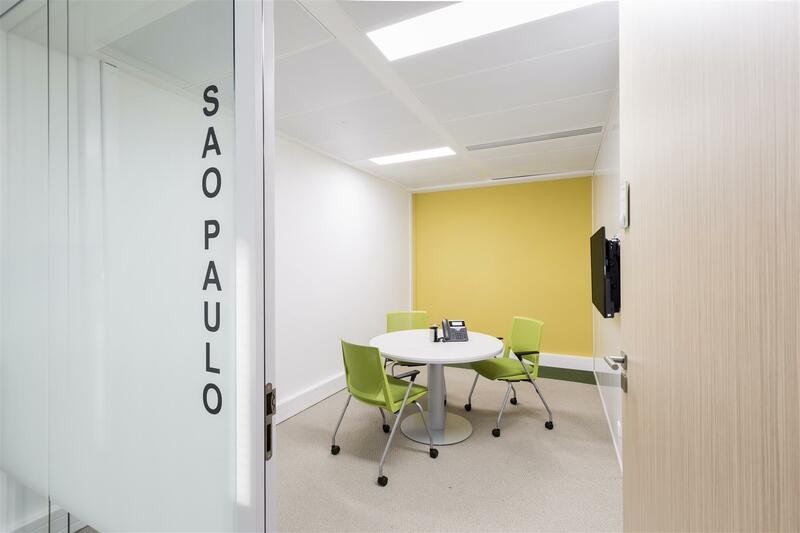 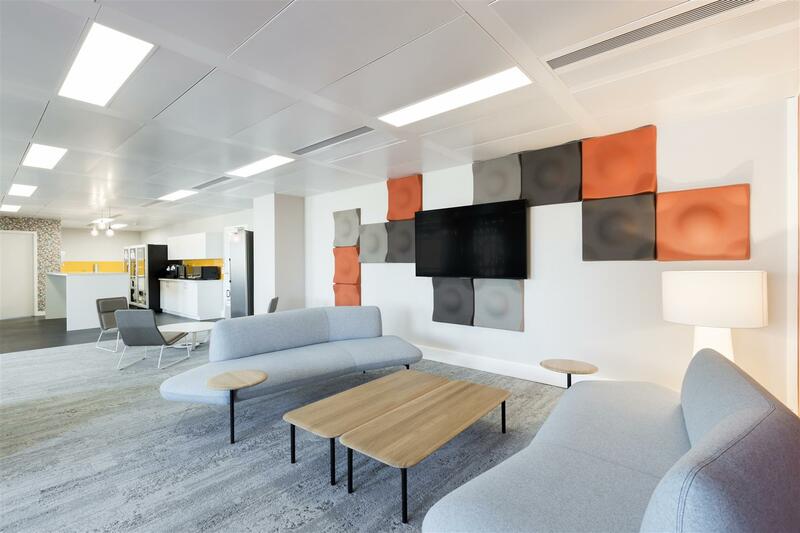 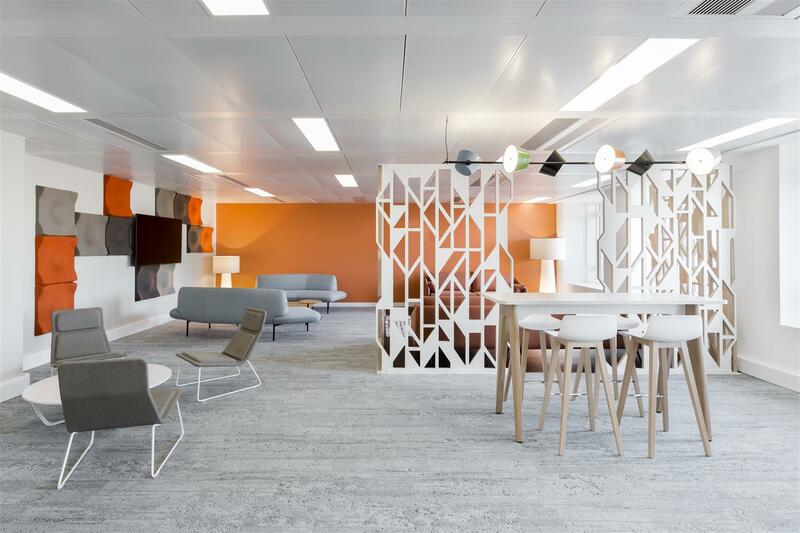 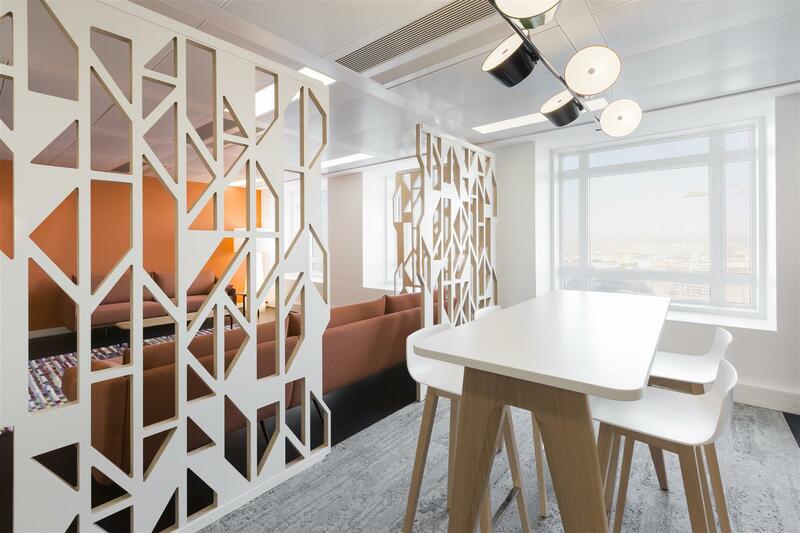 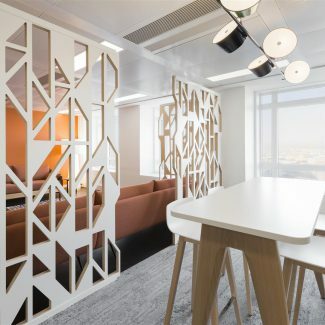 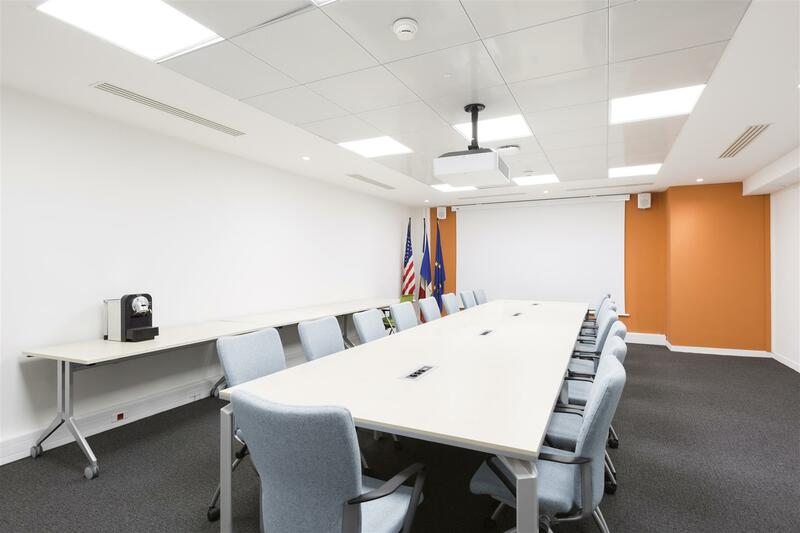 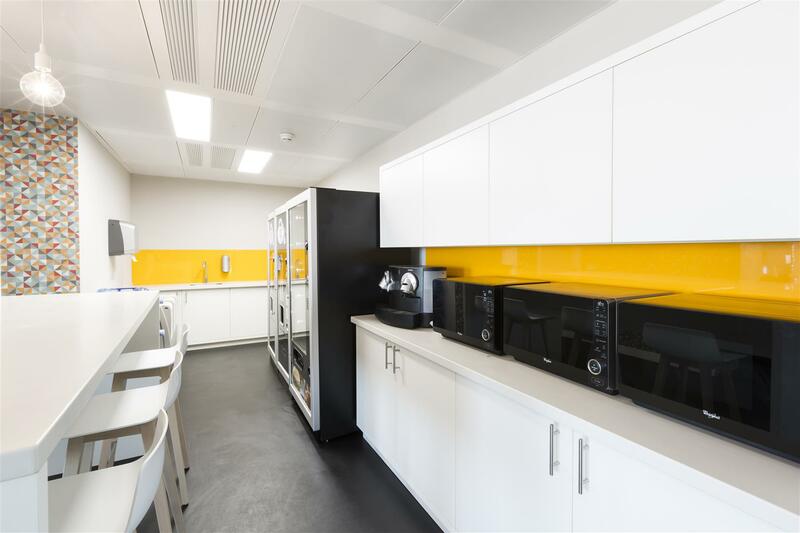 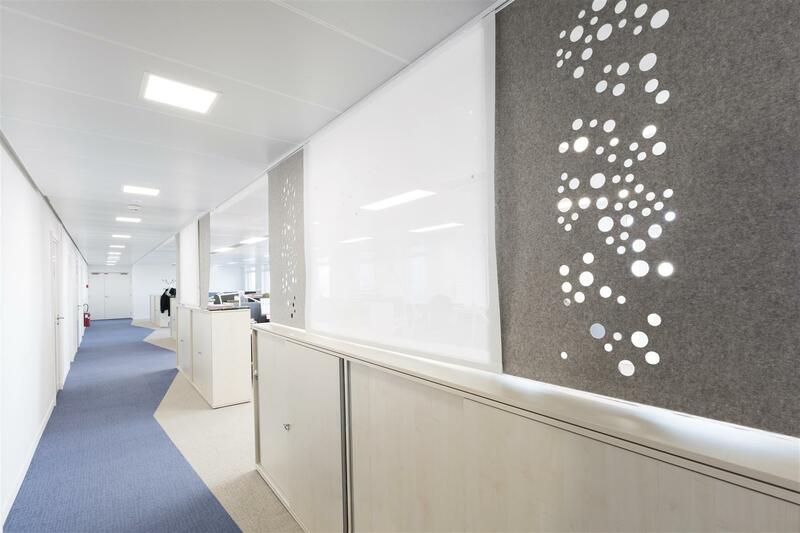 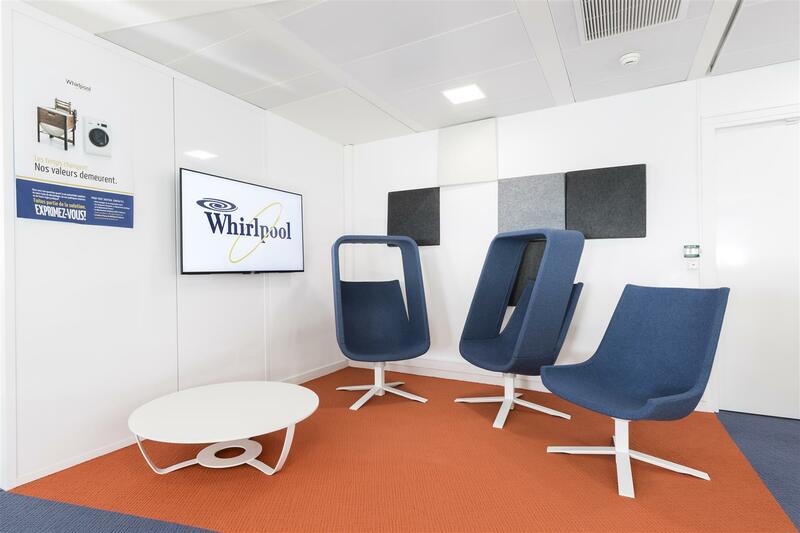 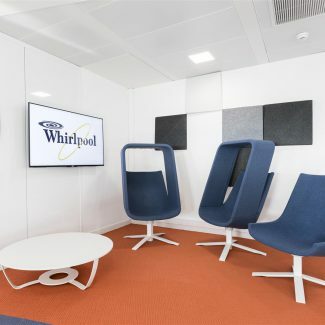 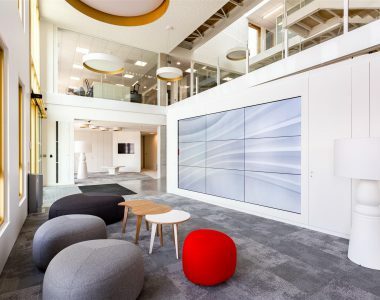 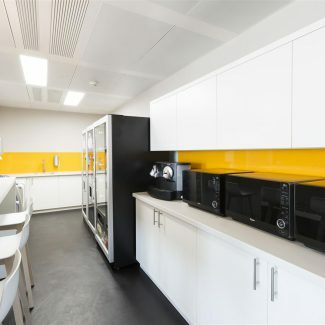 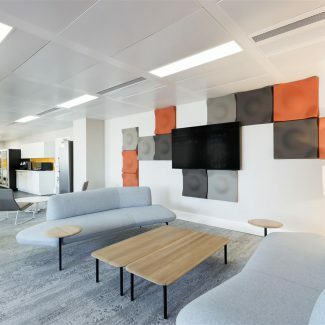 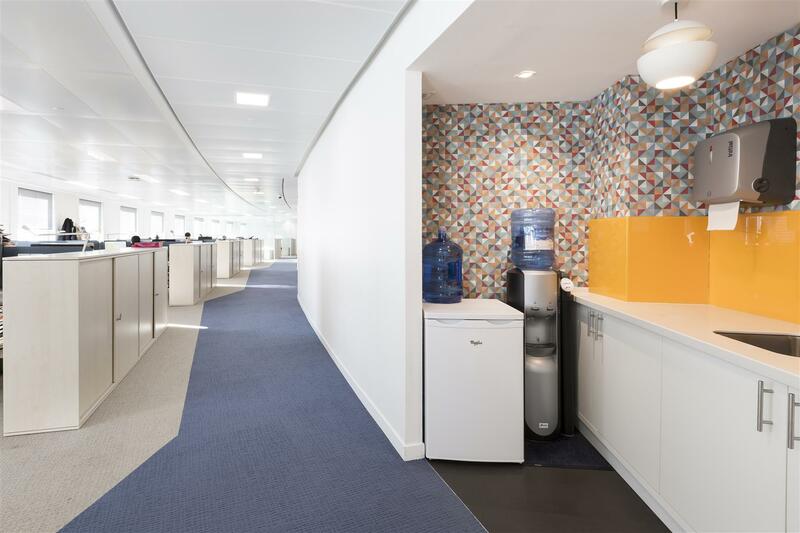 Situated in one of the main tower of La Défense in Paris, Whirlpool has chosen Tétris to fit its 3895 sqm offices out. 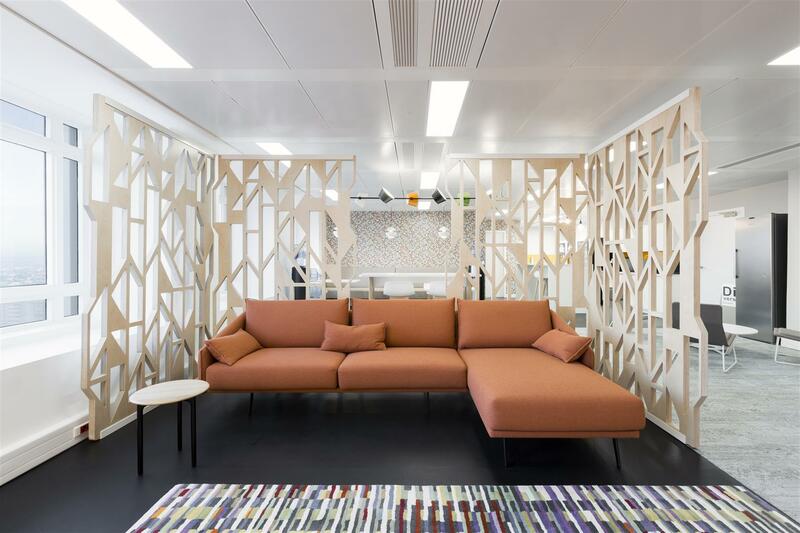 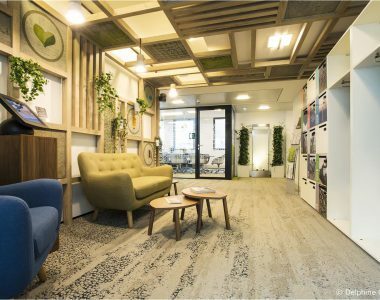 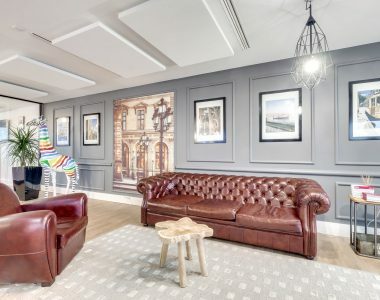 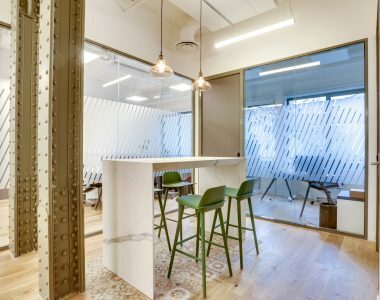 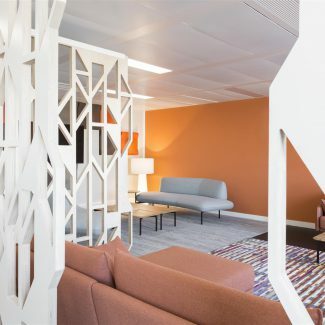 The cafeteria, located at the heart of the offices as the main point to relax between colleagues, has a both modern and seventies look. 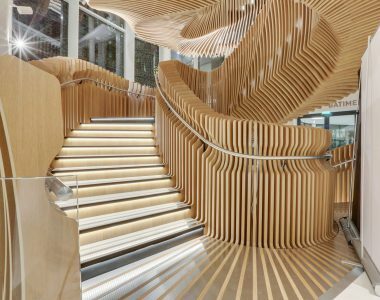 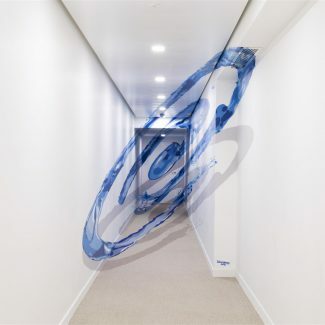 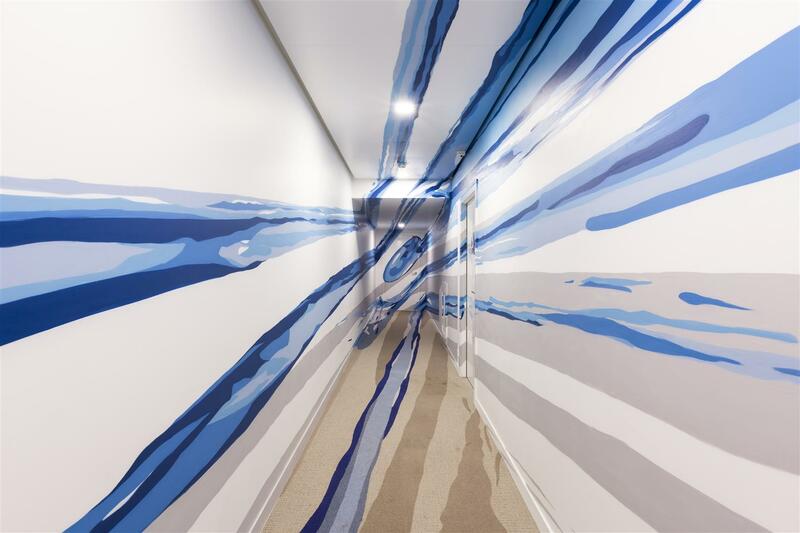 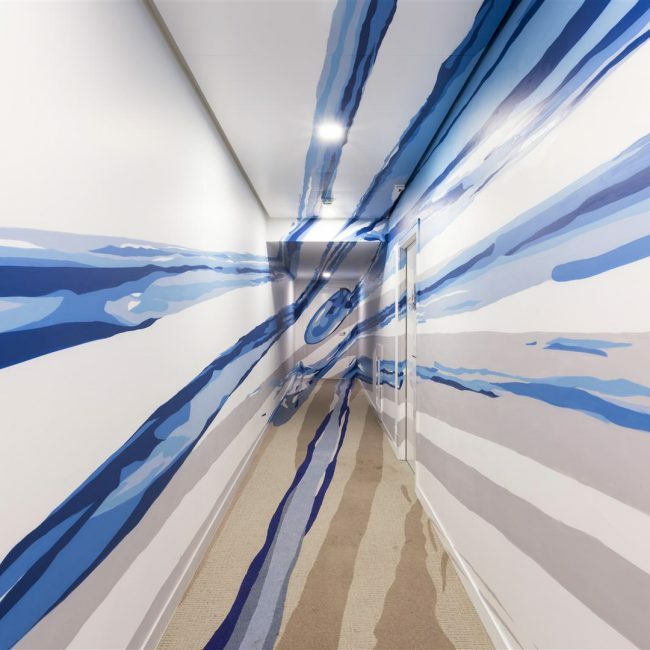 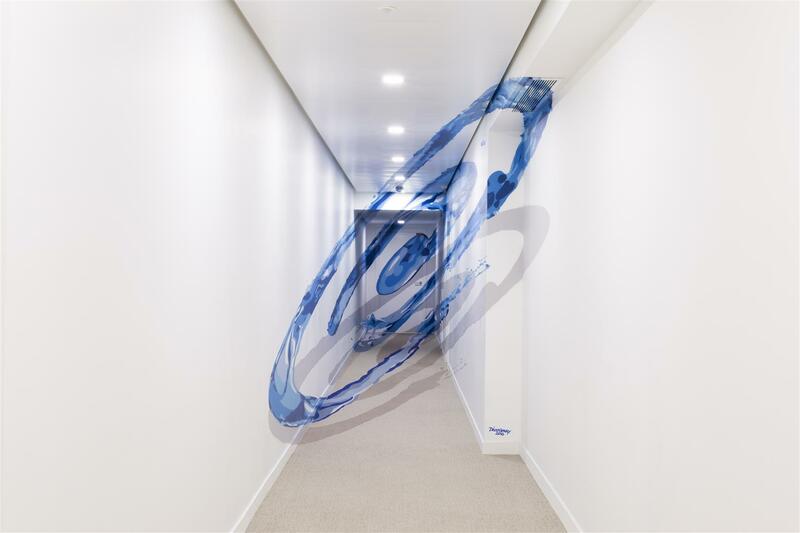 To access the cafeteria, all employees go through a corridor with an incredible and hypnotic Whirlpool logo anamorphosis. 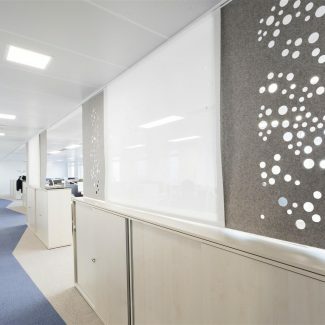 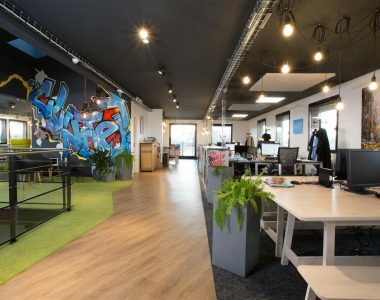 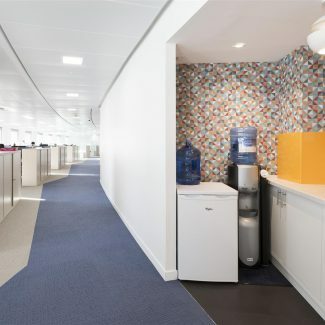 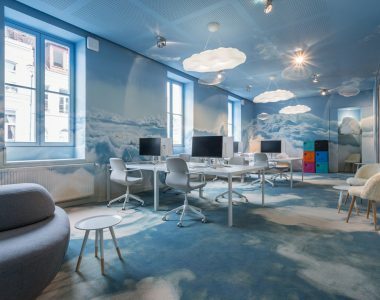 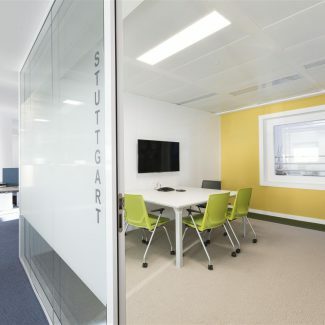 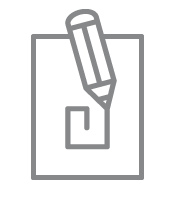 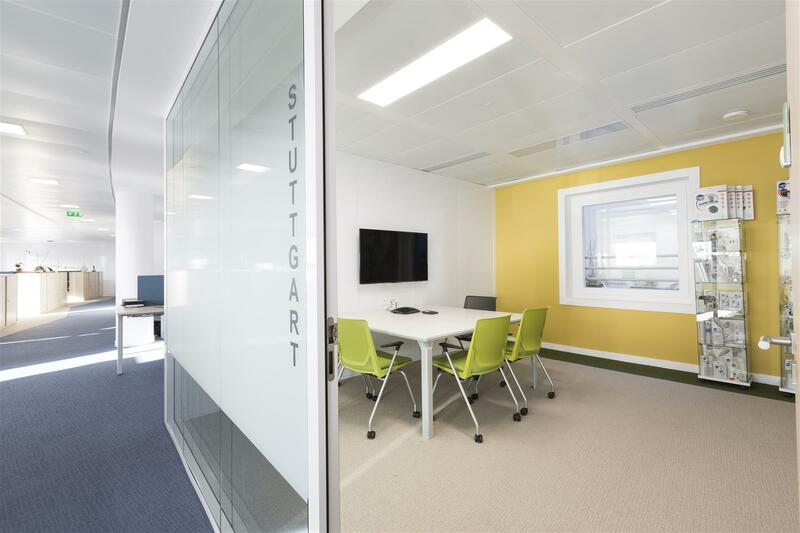 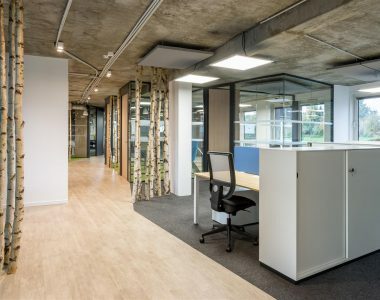 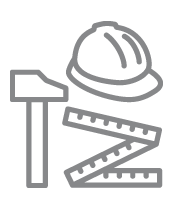 Offices are functionnal and luminous and allow a better communication between departments. 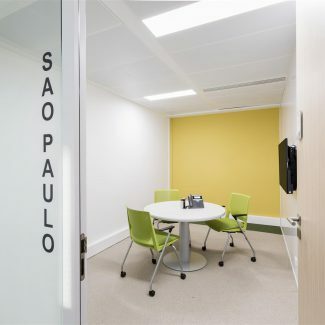 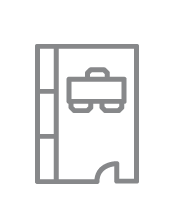 Meeting rooms are located a bit everywhere, so that each and everyone can work alone if necessary.